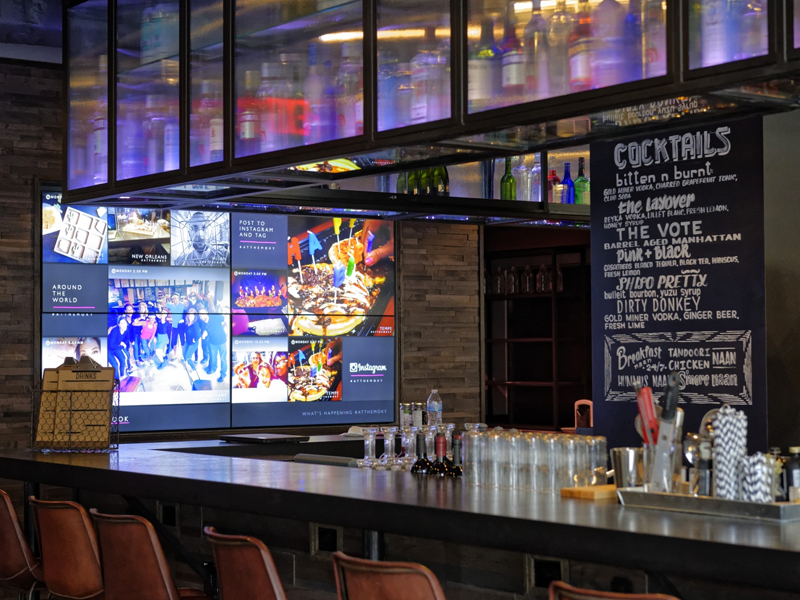 Launched on a promise to give young travelers a hotel experience like no other, Marriott’s Moxy Hotels needed a tangible proof tailored towards its global audience of digitally connected fun hunters. 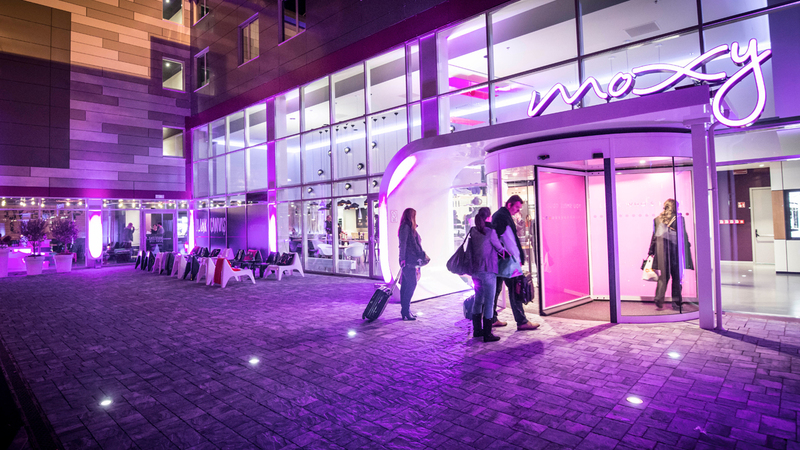 While traditional hotels are presented as empty shells, with sleek lobbies, tidy beds and pristine views, Moxy is all about the real, unfiltered guest experiences. To bring the brand promise to life, we developed a costumised digital infrastructure driven by user generated content: The Moxy Guestbook. With it, Moxy guests across the globe share their best Instagram snaps through Moxy’s own digital platforms, giving future guest an insight into life #atthemoxy. 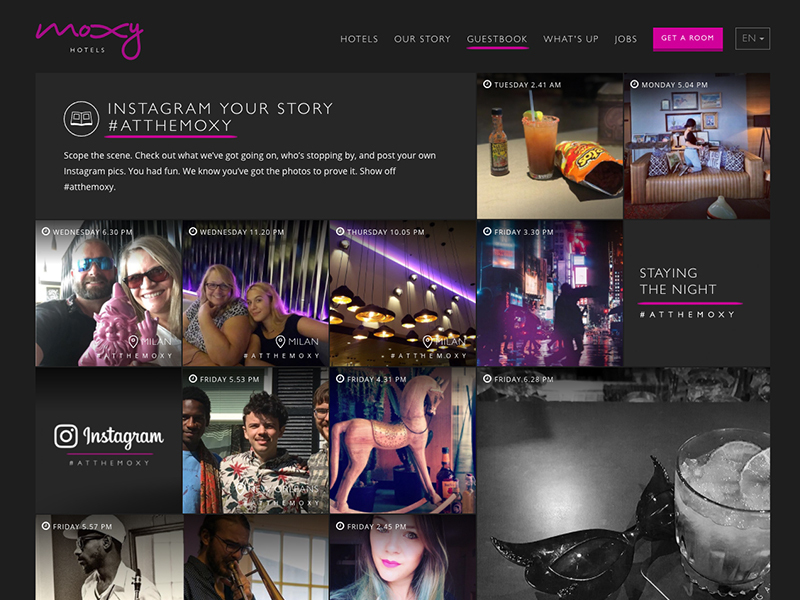 The Moxy Guestbook connects all Moxy properties in real-time, creating a digital infrastructure that allows for user generated content to spread all across the Moxy universe within seconds. In addition to the Guestbook, we handed guests the Moxycam; a custom made brand iPad linked to the Moxy Instagram account. Going crazy all over the hotels and posting their escapades, guests created an online journal that triggered each new visitor to join in on the fun. 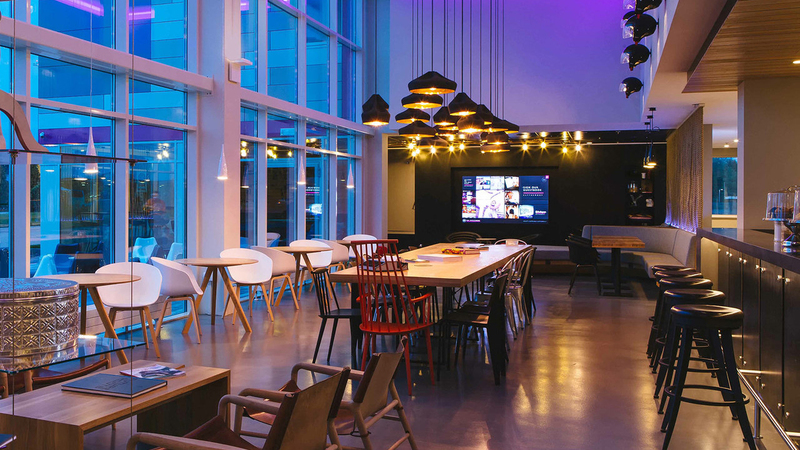 The Moxy Guestbook has become a sustainable brand property for Marriott Hotels that is continuously growing in reach as more hotels are opening across the globe.